Within 5 days with receipt, for a refund or exchange. Item must be in the same condition in which it was purchased. We cannot accept returns of Travel Guides, Test/Tutor Preparation Books, or Vinyl. 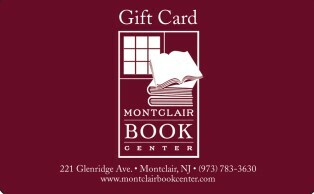 Would you like to purchase a Gift Card? Gift Cards purchased online can be activated for online purchase OR mailed to the recipient of your choice. Please specify your choice by typing SHIP or ACTIVATE in the FAX NUMBER line.